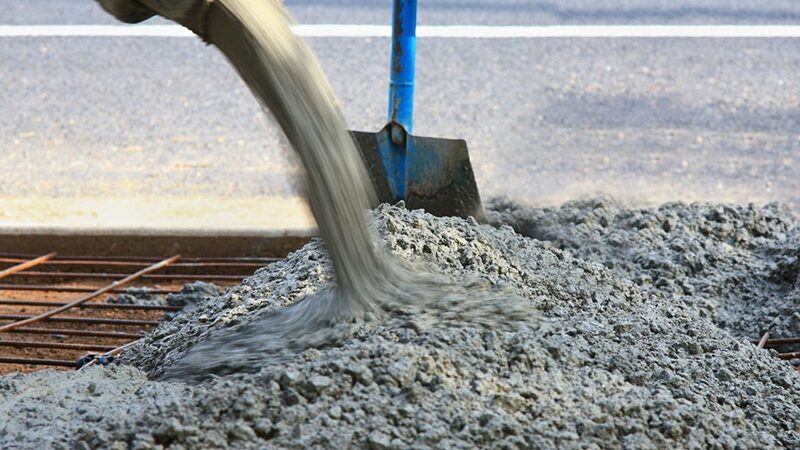 ERC-TECH “Effective Recycling Concrete Technology” brings a revolutionary solution for the construction industry along with a comprehensive handling of environmental burdens connected with disposal of inert construction and demolition waste. 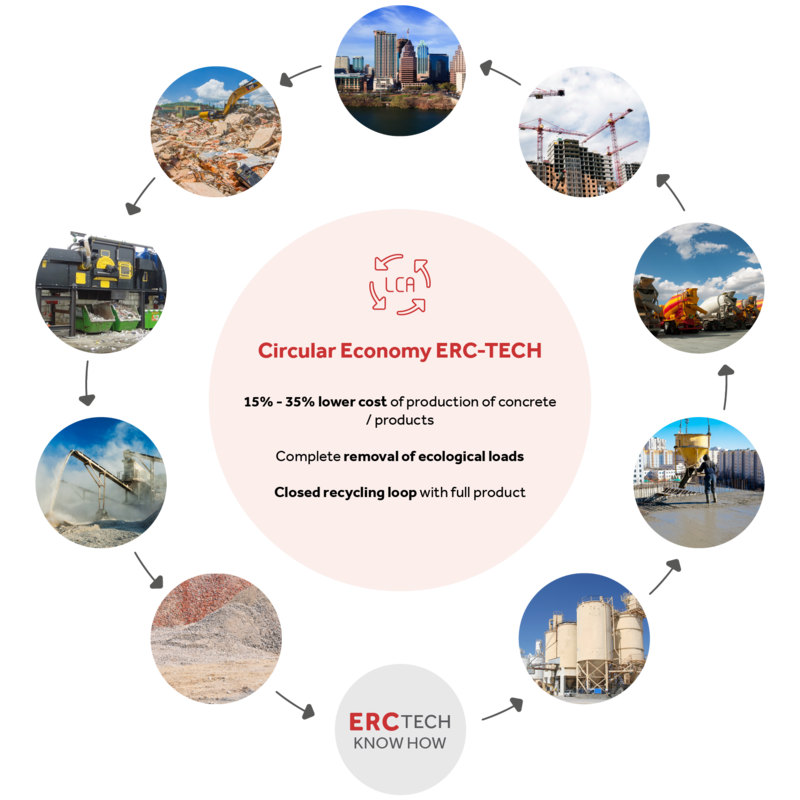 The sustainability in the ERC-TECH concept includes environmental protection, social responsibility and economic profitability with a significant contribution to circular economy. ERC-TECH provides licensing services and technical servicing closely related to the patented know-how. ERC-TECH is a global innovator in the development of concrete and concrete construction elements with 100% recycled aggregate. The last 10 years have been dedicated to developing the know-how; they culminated in a successful registration of international patents. Which it has amalgamated in a single whole, developed a concept system and solution procedure, protected by patent proceedings worldwide. Quality and parameters of concrete mixtures and products are a priority at ERC-TECH. ERC-TECH has designed a new technology concept for sustainable development in the construction industry on a global scale, bringing new business opportunities with a significant economic and environmental impact on individual countries and regions. ERC-TECH unique patented technological process of mixing and dosing recycled mixtures with nanofillers along with reactivation of binders present in recycled mixtures make ercconcrete® 1st class quality material despite reduced cement doses up to 30%. ERC-TECH know-how and patents define and amalgamate the environmental and production areas of industry for most economically effective and fully ecological solution to the issue of up to 100% reuse of construction and demolition waste by turning it into fully-fledged concrete mixtures and concrete products usable for diverse construction work with significant savings of natural resources, fuels and energy, with a noticeable effect of CO2 emission reduction. 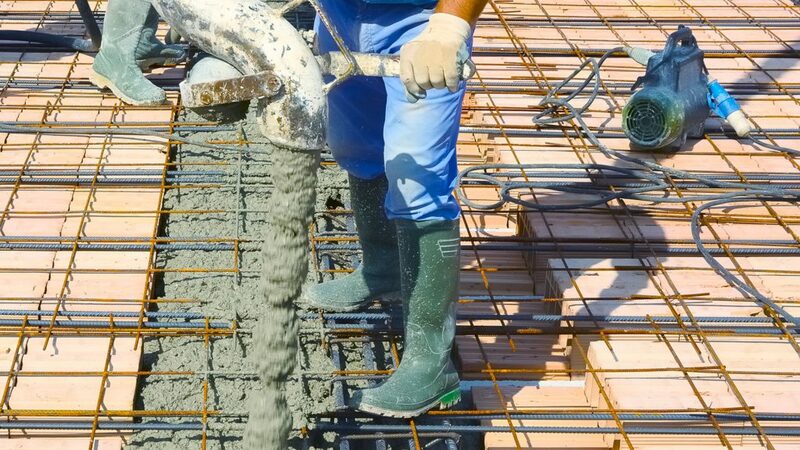 The invention also relates to a dry mixture for the preparation of this concrete, as well as a concrete product or prefabricate made of this concrete. 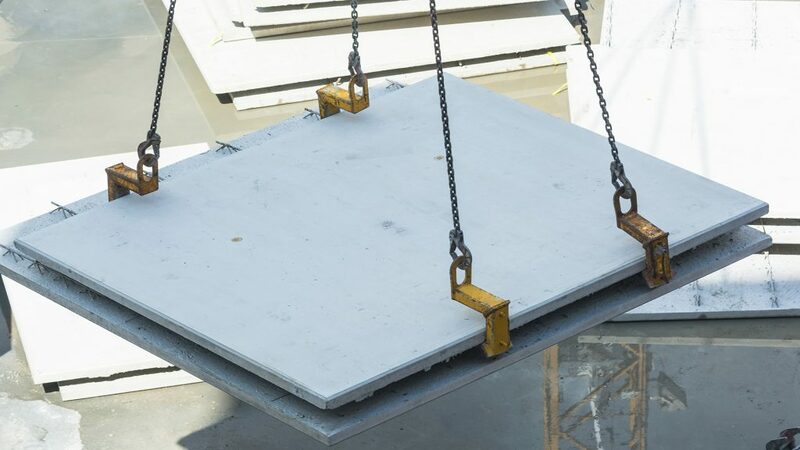 Furthermore, the invention also relates to a process for the preparation of fresh concrete. Stop landfilling for good and minimise environmental burdens. Solve the global problem of reuse of inert and mineral waste from construction demolition and landfills, and reuse these raw materials for products and structures. Ensure sustainable development in the construction industry and bring new business opportunities with maximum positive environmental impact for regions and countries of the whole world. Bring new, social and societal benefits in the form of new job opportunities. Conserve natural resources and energy as much as possible. Financial savings and environmental benefits for all countries of the world by means of efficient reuse of recyclable materials. Achieve an identical quality for products made of recycled materials originating from construction and demolition waste in the form of all types of concrete mixtures and concrete products in the construction industry.